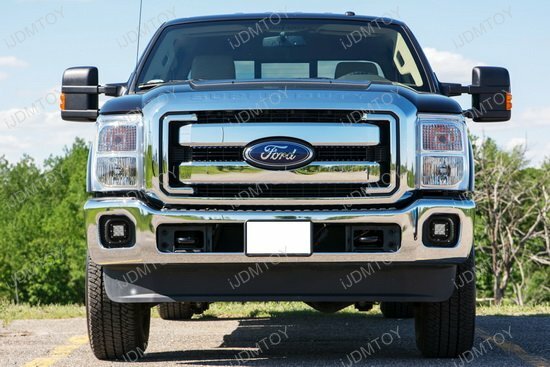 Q: How do I mount the brackets onto my new Ford F-Series LED fog lights? 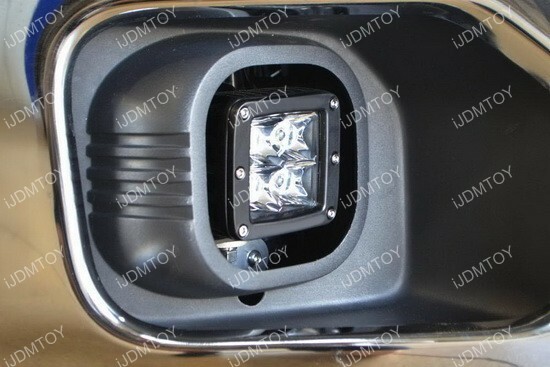 A: Step 1: Remove existing fog light. You must loosen the three screws in the back behind the mounting piece to proceed. 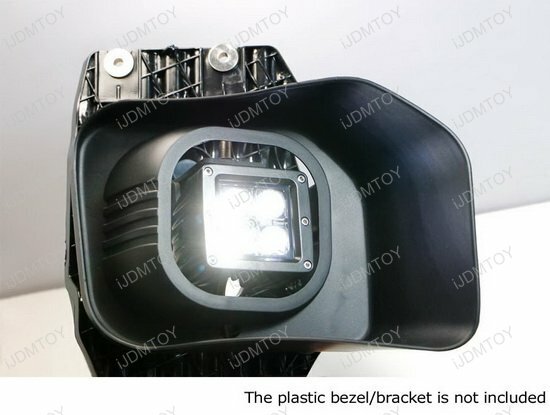 Step 2: Replace with the new LED bracket, but take extra care to make sure that the entire LED bracket piece is screwed in behind the mounting piece. 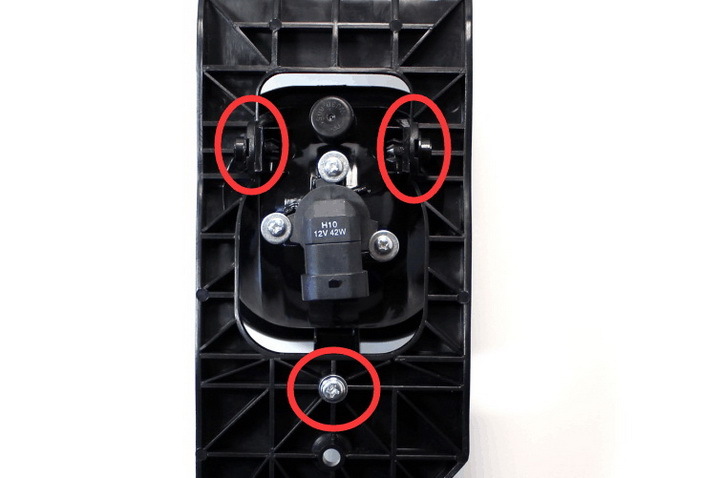 Step 3: After you make sure the new LED bracket is mounted in place, you can mount your new LED Quad light. 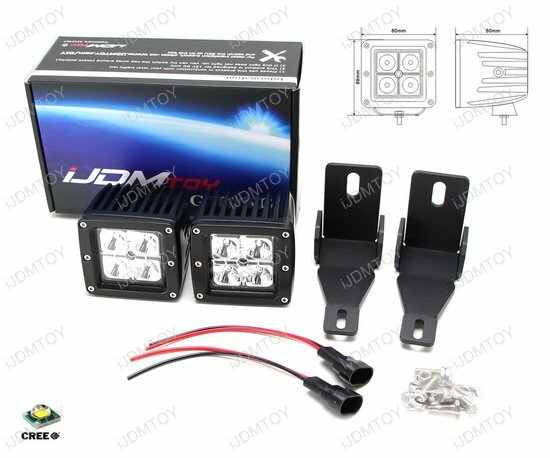 Note: You can install the OEM screws that were a part of the factory fog lamp, but we recommend using a metal bolt because the LED quad light is heavier. 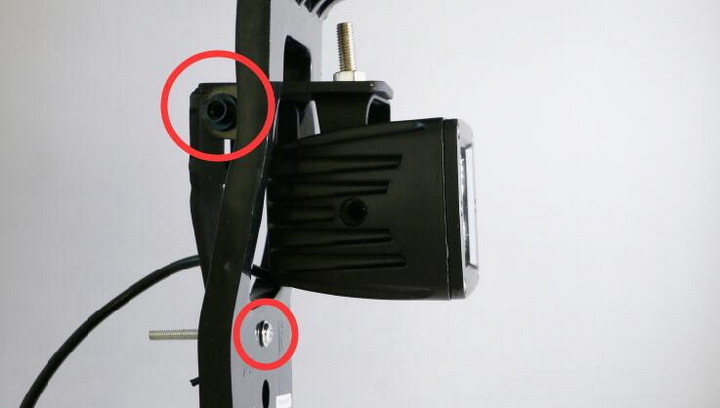 A: Check out the LED Pod Light YouTube Installation on how to mount the bracket onto the LED pod light below. 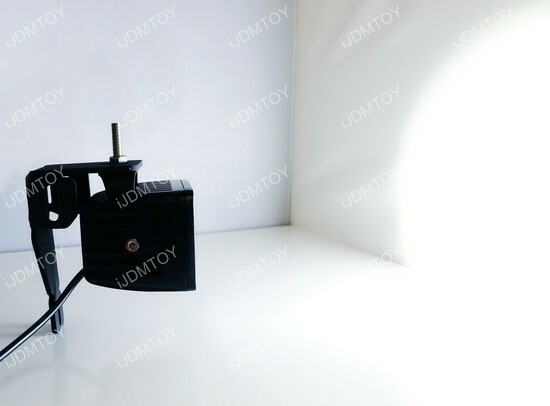 Alternatively you can visit How to Assemble LED Pod Light guide. 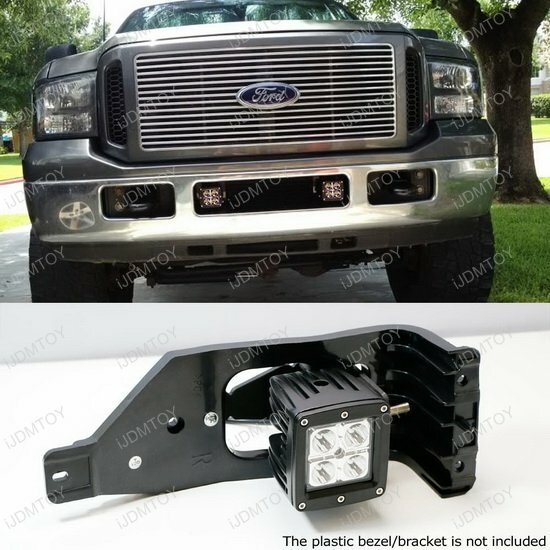 This page features a fog lamp upgrade kit for the 1999-2016 Ford F250 F350 F450 F550, 2000-2005 Ford Excursion that utilizes the existing halogen fog light opening and transforms the location to work with high powered LED lights. 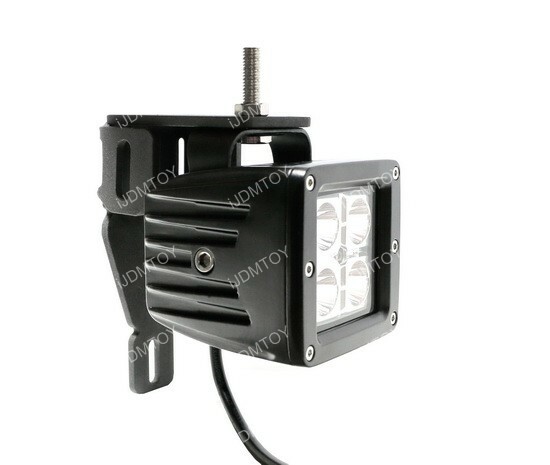 This set comes with 2 pieces of 3" cube shaped 20W CREE LED with spot beam pattern, heavy duty metal mounting brackets, and a wiring adapter harness. 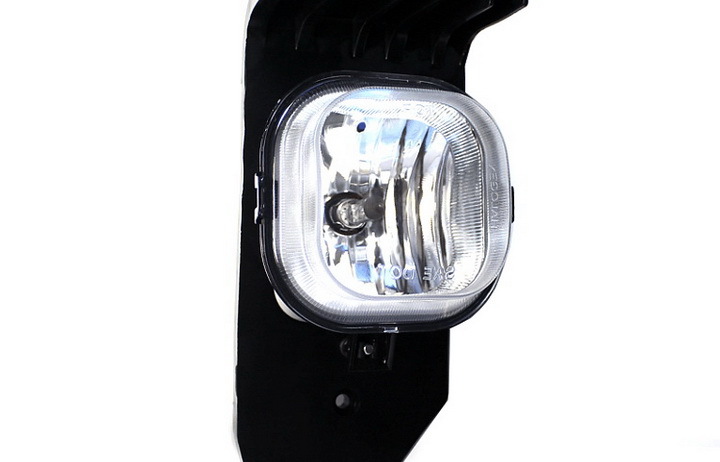 By using the original fog lamp location, this new LED fog light kit allows your truck to perform more heavy duty work and can act as a beacon or search light for off-road of work related environments. 4.5 of 5 Total Reviews: 6 Write a review. 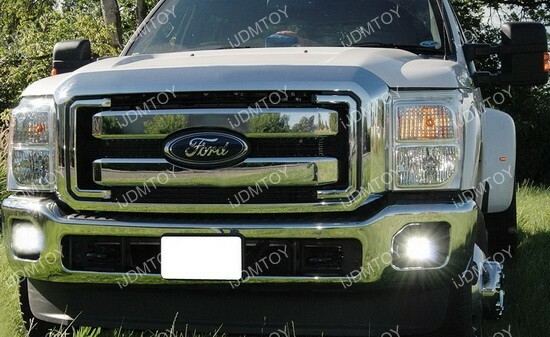 This LED pod light set was a Christmas gift for my brother, he loves it on his Ford F250. There are no complaints. Shipping was fast. Mounting screws are cheap. Brackets are tough to mount and installation was a hassle. 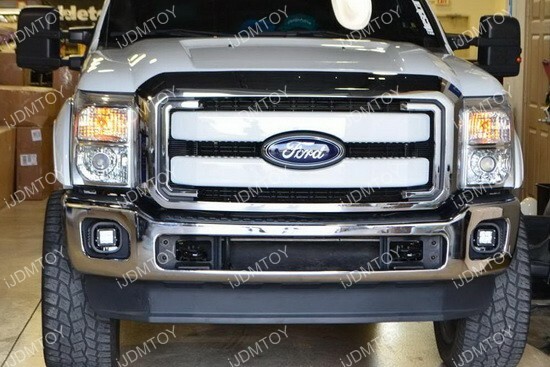 I do have a aftermarket brush bumper but the ability to mount stock fog lights is there these did ""bolt on"" I had to modify the brackets heavily for them to work. Either way they are on now and are doing their job. 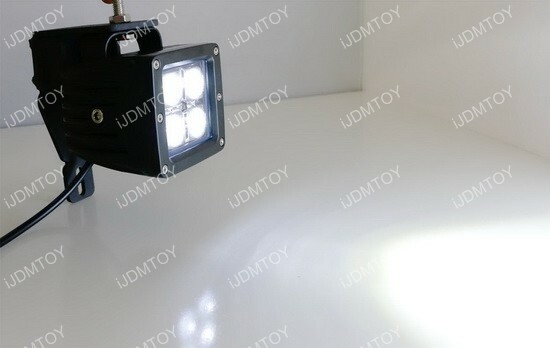 Other then installation no problems with these LED pod lights so far. 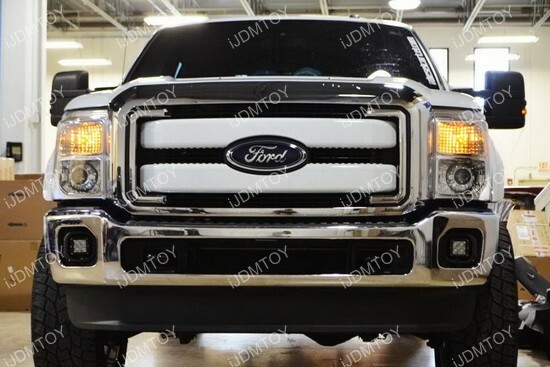 I replaced the stock fog lights with these LED fog lights on my 2013 Ford F350 superduty. What a difference! 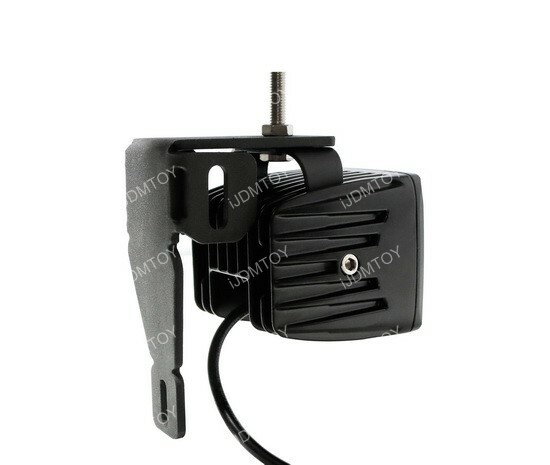 The LED lights ar every white, draws little power and I drive with them all the time. 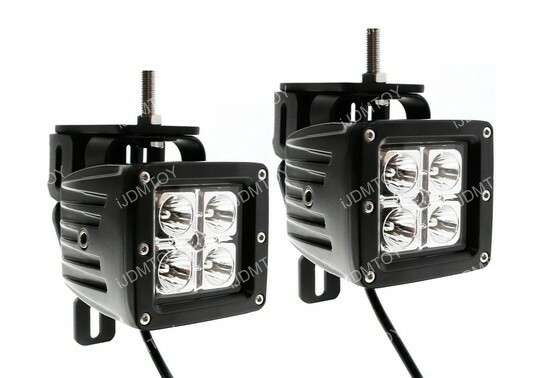 I'm absolutely pleased with these cube LED pod lights and get a lot of positive comments for them.